Andrew Francis Butchers have been situated in their current premises since 2005. Our speciality is our free range and rare breeds in both pork and beef. We so also supply locally sourced beef, lamb, free range pork and poultry. 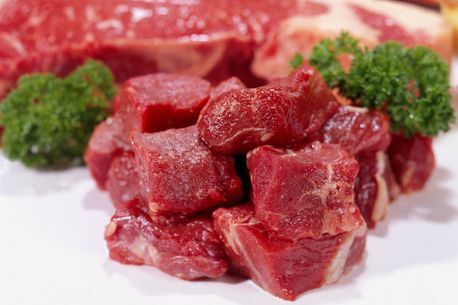 We provide everything from traditional cuts of meat such as mince, casserole steak, joints, chops etc. Andrew Francis Butchers provide only the best quality meat, all at a very reasonable price. Our produce have been supplied to the very best chefs and restaurants in town and we are recognised for our famous home cured traditional bacon. Call your local butchers in Ludlow on 01584 874572.
established in Ludlow since 1991. We produce all our own sausages, burgers and game on the premises on a daily basis. "We buy all our meat from Andrew Francis butchers. They have an excellent range of top quality produce and are very reasonable. The fact that you are always greeted with a smile and a friendly face every time..."
" They have a wide range of sausages, burgers and pork but I always have to leave with their famous home cured bacon. It tastes absolutely amazing and they ideal for the children's sandwiches in the morning. By far the best..."